Indulging can feel pretty fun in the moment. But if you indulge yourself too much or too quickly, you can run out of things to indulge in and experience a kind of "hang-over" effect with nothing to look forward to anymore. To avoid this situation, I've had to invent sustainable ways of indulging so I can indulge steadily over a longer period of time. I'd rather enjoy a mellowed version of certain indulgences throughout my life, than go all-out just a few times here and there. The following is a sampling of examples of me deliberately diminishing some of my indulgences so as to keep enjoying the tiny pleasures across a very long period of time, perhaps even my entire life if I'm lucky. In today's era of Netflix and Hulu, it seems to have become a badge of honor to claim that you got through an entire season of a new TV show in just a weekend. Binge watching has now become a thing to be proud of and brag about at work the next day. The truth however is that binge watching was never that hard to begin with. Even the most untrained of human minds can easily focus on a good suspense thriller, without so much as trying. Perhaps if you binge watched the entire BBC series on The History of India, or the YouTube series on How to Build a Computer from Scratch — videos that many people would find somewhat "boring" — that might be more commendable. The unfortunate truth is that by binge watching TV shows, you're limiting your indulgence to just 24-48 hours. What do you do the rest of the time while you sit around waiting for the next season or the next series to arrive at your lap? Feel depressed that you have nothing to turn to when you want to take a break? Instead, what if you limited yourself to just one episode of one show a day? Radical idea, eh? Immediately, you've turned your source of entertainment and/or indulgence into a highly sustainable one that you can exploit for years and decades to come. I did just that 10 years ago — I switched to a max of 1 episode a day sometime in 2008 and have never looked back since. Not only do I now have something to look forward to every evening, I also never have to worry about running out of good shows to watch. Or heavens forbid, resort to watching lower-quality shows just to pass time. In the winter of 2013, when I was solo-training for my first full marathon in snow-capped Toronto, I forced myself to follow a pre-spreadsheeted training plan. On most days, I would be overjoyed to get back home after a tiring run, knowing that I was done for the day. On certain special days though, I would return to my home street feeling so invigorated and so full of energy and vitality that I simply would not want to come to a halt. I would just want to keep running. "I'm sure I could squeeze in another extra mile or two today," I would tell myself pleadingly. Might as well get ahead of the training program, right? In the endorphin-filled ecstatic moment, it was all too easy to get myself to indulge. But since sustainability trumps instant gratification, the answer always was no. The next day however, I would have so much pent-up energy in my muscles from the previous day's curtailed run. I would look forward to my evening run all day at work. When was the last time you heard of someone so eager to go on a 6-mile run when it was a jaw-numbing -10 degrees (14 °F) outside? Only someone who wasn't allowed to run his 2 extra miles the previous day. By having the discipline to say no and forcing myself to indulge sustainably rather than impulsively, I made it very easy to get out everyday (arguably the hardest part of any running program) and complete my training program successfully. This episode taught me that spontaneous is very often the enemy of sustainable. This might seem like a bizarre example at first, but ask any guy who uses a non-electric razor and they'll tell you how much they love how they feel once they're done shaving their facial hair off. Especially the cool sensational feeling of applying after-shave soon after you're done. The great feeling post-shave makes you want to shave every single day if you've got the time. But what starts off as a daily "indulgence" quickly goes south when you realize that once you start shaving everyday regularly, you're pretty much signing yourself to a lifetime commitment of shaving every day into the future whether you like it or not. But why's that? As you start shaving everyday, people become less used to seeing you with facial hair, thereby increasing the pressure to shave everyday. Furthermore, as you start to shave everyday, you facial hair starts to grow back faster, denser, and more visibly, which motivates you to shave everyday if you're not a fan of facial hair. This leads you down a slippery slope and before you know it, you're now required to shave everyday, even when on vacation. What began as an indulgence has now quickly degraded into an everyday chore. Certainly not sustainable long term. To counter this slippery slope, I make sure at least 3 days elapse between shaves. If I shave on Monday, I can't shave again until Thursday. And if I do shave on Thursday, then not again until Sunday. Despite the occasional temptation to shave two days in a row on the days I want to feel great, this self-restricting strategy helps force a break between two subsequent shaves. Again, sustainability trumps short-term gratification. I love tasty food as much as the next person, but sustainably enjoying delicious food day-over-day is an area I'm very serious about. I'd much rather indulge moderately everyday than go crazy and lose my appetite permanently for something I once used to love. I no longer over-eat during a single meal because I like to feel real hunger right before the next one. Curbing my indulgence slightly at the end of each meal allows me to repeatedly indulge at the start of a subsequent meal, ad infinitum. But who thinks of their next meal when they're busy gorging on their current one? Nobody. But those who do might very well enjoy the fruits of sustainability over the long term. For instance, the next time you're ready to dig into a piece of delicious cake, instead of eating it all at once as most people usually do, see if you can eat half or a third and save the rest in the fridge for another day. Perhaps as a well-deserved reward after a workout or study session? The next time you order a sundae or a banana split for dessert, see if you can share the treat with someone else so you can stop right at or just before you hit your point of diminishing returns. I often consume a chocolate bar slowly over 2 weeks by eating small chunks of it every now and then. It's very rare that I'll finish an entire bar all at once. Once I get the party started, I like to keep it going for as long as I possibly can. Most of my friends from college are sick of Subway and pizza now because they ate so much of it during our 5 years there. Worried I might permanently lose my appetite for these two food items I genuinely liked and continue to still do, I had to intervene early and ensure I never overdid it. Since without proactive intervention, it simply would've been too easy to over-consume them. Like shaving, by forcing a certain cool-down period (say 3-4 days) between subsequent subs and pizzas, I was able to maintain my virgin appetite for these 2 food items for well over a decade. By continuing to consciously practice sustainable indulgence today and permanently into the future, I hope to be able to keep enjoying subs and pizzas for the rest of my life. These days, I don't get very many opportunities to go to Subway, but on the rare days I do, I very much look forward to it. I can't say the same for many of my friends because they unconsciously overdid it in college for 3-4 years, and now they're permanently sick of it. Subs and pizzas are just an example, but it applies to almost anything you love consuming and gorging on: burgers, eggs, meat, fries, popcorn, chips, dessert, salads, cereal, cookies, chocolate, ice cream, or even alcohol. You name it. To put things into the larger framework of life, overindulging oneself is almost certainly a short-term play. With a lifetime that routinely lasts well over 80 years for most health-conscious people, we can't run the risk of running out of life's simple pleasures. What will you look forward to when you've exhausted your supply of limited indulgences? Will new indulgences keep materializing themselves forever? Maybe, but certainly not fast enough to satisfy your ever-increasing appetite for new ones. Thus, sustainability will always remain the name of the game. Let's pause for a minute and think. What could you be overindulging in today that you might regret a few years down the road? Which of those indulgences can you curb slightly starting today so as to keep them going as a viable source of happiness, entertainment, and joy for decades to come, perhaps even forever? 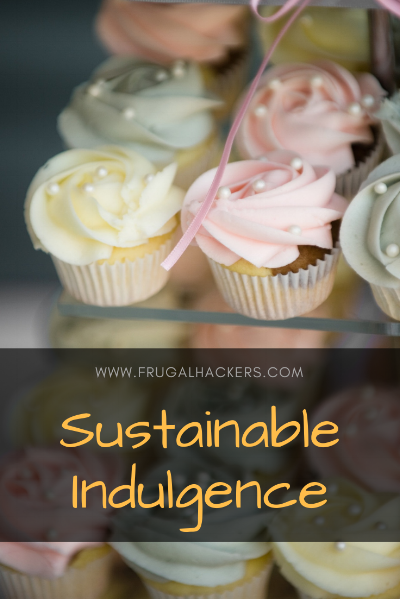 Reducing your indulgence level today by 25% might help you stretch out your indulgence ability by over 1,000% in the long run. Often in life, it's smarter to optimize for surface area (i.e. longevity) instead of intensity. The age-old adage applies here: Eat the fruits of a tree, and not the tree itself, for without the tree, there are no more fruits left to eat. As our friend doge might say, this life hack is "much benefit, very wow". Try it out for yourself and see if it delivers! Slowing down gratification has never failed me. Born in India. Grew up in Dubai for 15 years. Studied and lived in Canada for 8 years. Backpacked in Europe for 2 months. Lived in Toronto for 1.5 years. Working in San Francisco for the past 4 years. Runner, cyclist, software engineer.